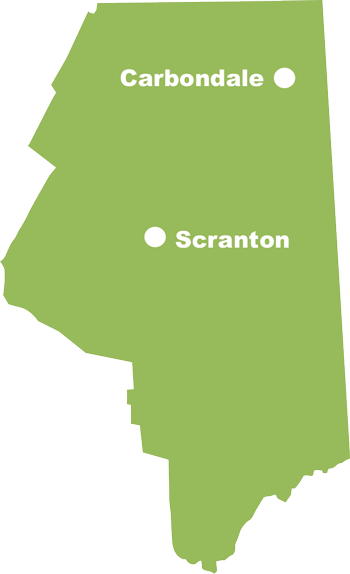 Lackawanna County is home to the region’s largest city which is Scranton. 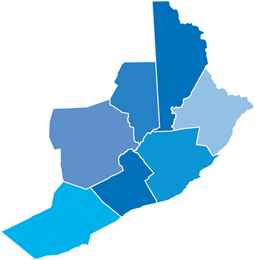 Lackawanna County is located in the Scranton-Wilkes-Barre-Hazleton Metropolitan Statistical Area. Similar to most of Northeastern Pennsylvania counties; Lackawanna County enjoys excellent access to major markets in the Eastern US. Interstates 81, 380 and 476 traverse this area. Rail service is also available from several operators. Air transit is available from the Wilkes-Barre/ Scranton International Airport. Four season recreational amenities are abundant. There is significant developed KOZ land available for business expansion and attraction at industrial and business parks. Lackawanna County has a diversified economic mix with manufacturing, logistics and health care providing significant employment opportunities. There is also a thriving entrepreneurial presence with three business incubators. The Regional Bioscience Initiative aims to promote NEPA as an ideal location to start-up or expand bio-science related businesses. There are eight colleges and universities in Lackawanna County offering certificate, associate, bachelor, master and doctoral programs including The Geisinger Commonwealth School of Medicine. The Scranton-Wilkes-Barre Rail Riders, the Triple A affiliate of the New York Yankees, Steamtown National Park, Montage Mountain Resorts, The Pavilion at Montage Mountain, and Scranton Cultural Center are just a sampling of recreational amenities that offer many options for entertainment. There are also many other sites, parks and trails offering outdoor adventures.